They cast themselves as the voice of the American-Muslim community. But a new survey casts doubt on whether any national Islamist group can stake such a claim. For example, only 11 percent of women and 12 percent of men say the group with the highest national profile – the Council on American-Islamic Relations (CAIR) – represents their interests. Even smaller percentages of the respondents said they felt other national Muslim interest groups, like the Islamic Society of North America (ISNA), the Muslim Public Affairs Council (MPAC) and the Muslim American Society (MAS), exemplify their beliefs. A majority of men and more than 40 percent of women said that they feel no national Muslim group represents them. The finding is one of many included in the report, released Tuesday by the Abu Dhabi Gallup Center, based out of the capital of the United Arab Emirates. The report explored attitudes toward Muslims among other religious groups and among Muslims themselves. It offers a small sample size – 495 self-identified Muslims – and the resulting margin of error is nearly 7 percent. Of all faith groups surveyed, American Muslims were least likely to justify violence against civilians. A significant majority believes that U.S. elections are honest and say they are loyal Americans. But fewer Muslims have confidence in the FBI and 60 percent say that they have been victims of prejudice. The survey comes at a difficult time for CAIR. In June, it was stripped of its non-profit status after failing to file required tax forms for three straight years. Donations to the group are no longer tax deductible. Prior reports indicated the group already was having trouble maintaining its membership. In June 2007, the Washington Times reported that CAIR membership had plummeted 90 percent since 2001. "This is the untold story in the myth that CAIR represents the American Muslim population," Zuhdi Jasser, president of the American-Islamic Forum for Democracy, told the Times. "They only represent their membership and donors." While CAIR originally disputed the Times report, its attorneys later invoked it to claim that its status as an unindicted co-conspirator in a Hamas-support case was hurting the group's image. That case ended with convictions for the Holy Land Foundation and five of its top officials, on all counts tied to Hamas support. The presiding federal judge later rejected CAIR's request to have its name removed from the unindicted co-conspirator list saying there was "ample evidence" linking it to Hamas. The Gallup report offers just the one question about national organizations, so it is not clear why so many American Muslims do not align themselves with CAIR and the other groups. 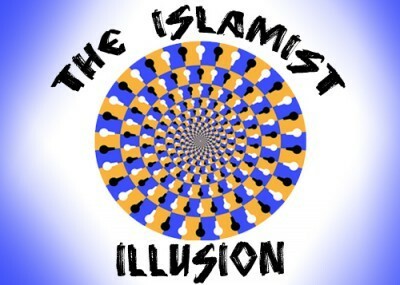 Jasser indicated the numbers bear out his analysis and proves that "the prevailing supposition by CAIR and so many of their misguided champions in the media that they somehow are representative of American Muslim sentiments is patently false. They certainly represent a segment albeit small of the American Muslim population and as I've repeatedly stated, the ideology, history and behaviors of their leadership demonstrates that if they represent any group well it is the Islamists among Muslims in America." To really gauge Muslim American attitudes, future polling should inquire about "how many American Muslims believe those organizations are harmful to our causes as American Muslims," Jasser wrote in an e-mail Wednesday. Increasingly, other voices in the community have spoken out against CAIR. In March, Minnesota Muslim leader Abdirizak Bihi said during testimony before Congress that CAIR refused to meet with him and other community members concerned about terrorist recruitment. CAIR, Bihi said, refused to meet with the families of missing Minnesota Somali youths suspected to have been recruited by the Somali terrorist group al-Shabaab. Bihi's nephew went missing and was later killed by al-Shabaab militants in Somalia. CAIR sided with the leaders of a local mosque in trying to block the FBI's investigation into the missing young men and discredit Bihi and other families, Bihi told members of the House Homeland Security Committee. "We are isolated by Islamic organizations," said Bihi. A Muslim law student criticized CAIR in June for a different reason. "Believe it or not, there are many of us American Muslims who do not think that the answer to fixing our image problem is to constantly issue press releases and file law suits," wrote Columbia Law School student Khurram Dara in an Examiner opinion piece. Dara recommended that Muslims could fight stereotypes by getting involved in community organizations and events to meet non-Muslims. "The truth is, saying CAIR represents the views of American Muslims is like saying the ACLU represents the views of all Constitutional lawyers. The two are related, but hardly representative."